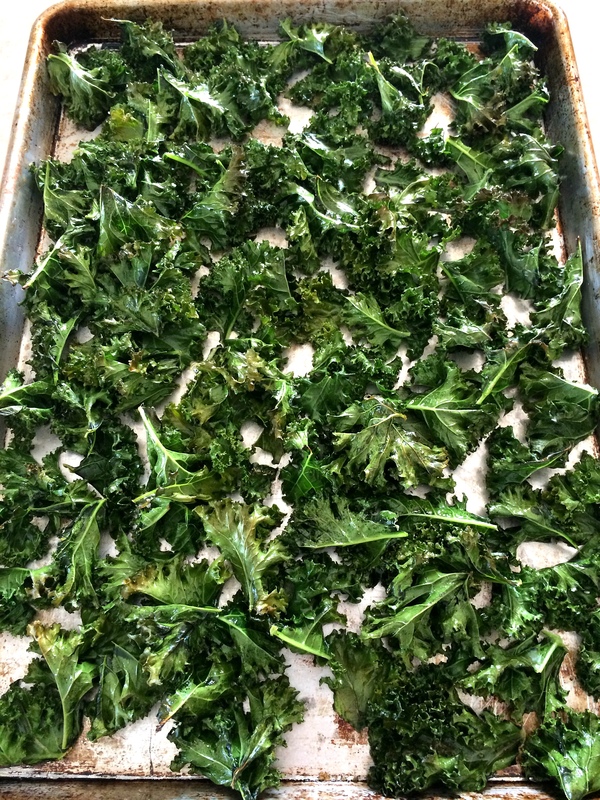 Kale is controversial in my household…I could eat it for days (and do) but my husband and son can’t stand it, which is a real bummer, maaaan. [channeling the Dude] It’s packed with incredible nutrition, is absolutely beautiful to look at, and is so versatile: salad, slaw, soup, chips, juice, pesto…and now dust. Whaaa?? Usually I try to keep my house dust-free, but this is one kind of dust you’ll want to keep around! 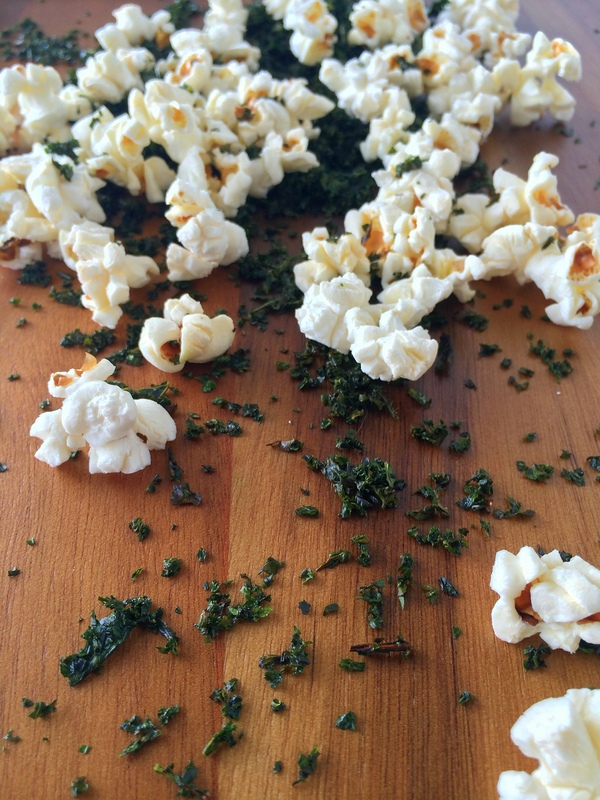 It’s quick, easy, and adds a healthy punch to whatever you sprinkle it on. Hello popcorn! Or stir it into yogurt and cream cheese for a veggie dip, top off your garlic bread or pasta, add a spoonful to potato soup, or sprinkle it onto a cheese quesadilla. Preheat oven to 350 degrees. 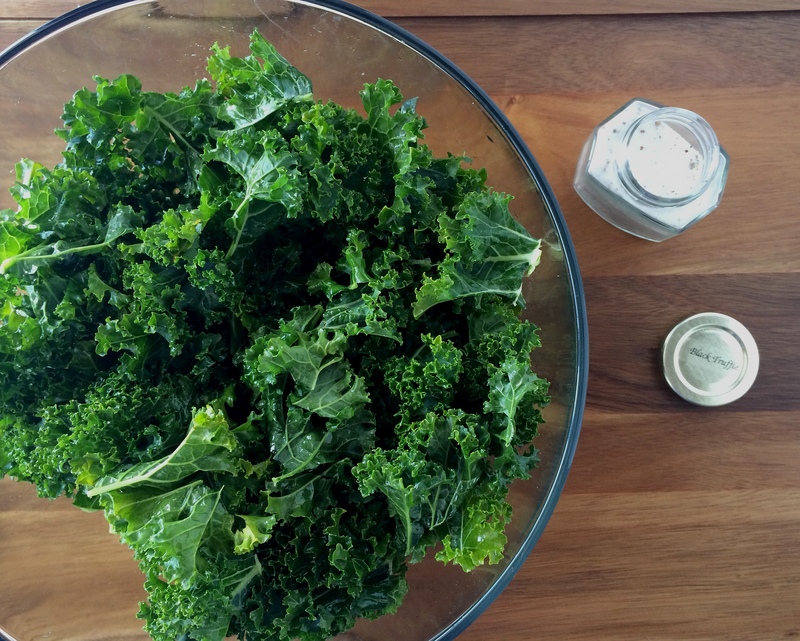 Put kale in a large bowl and drizzle with enough olive oil to lightly coat the leaves. 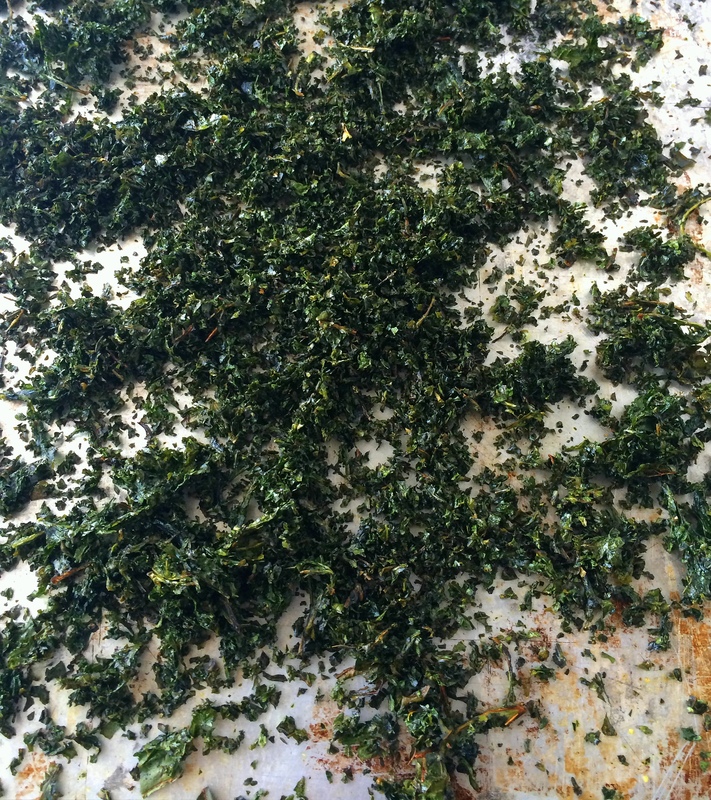 Season with salt and pepper (or any seasoning of your choice) and toss well; your hands work best for this. Spread out onto a large baking sheet and bake until crispy, about 15 – 25 minutes. Let cool slightly, then use your hands to crumble the leaves as fine as you can get them. Enjoy! 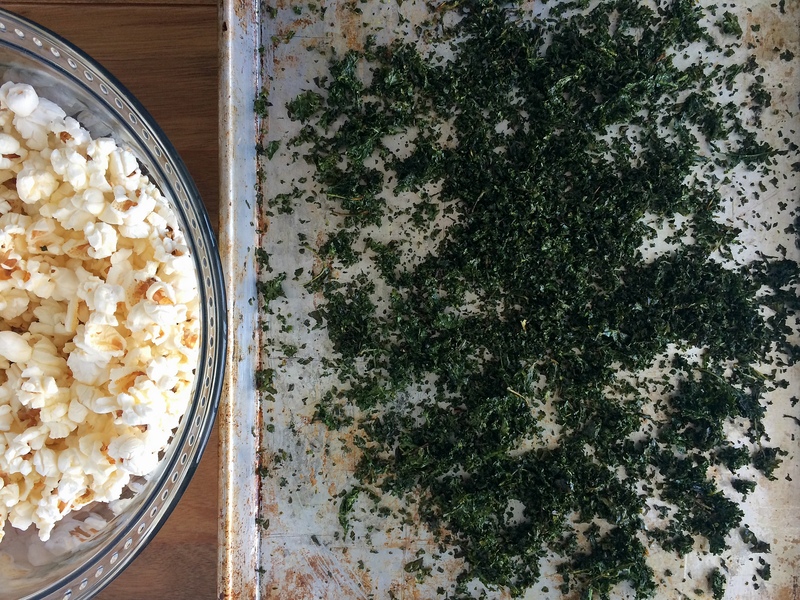 Popcorn is just about a nightly staple at our pad. What a great idea! Must try! Thanks!! 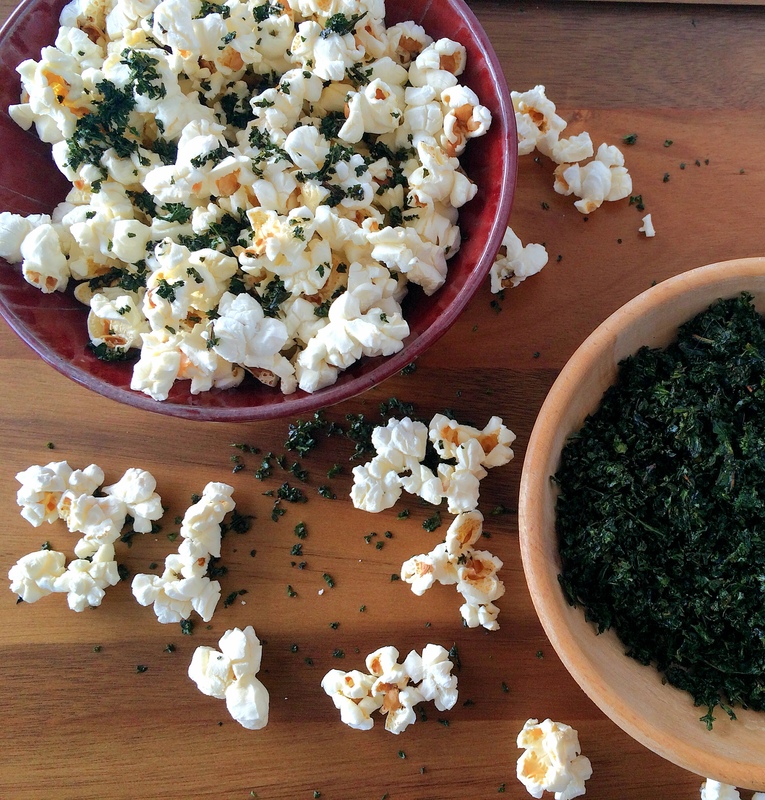 The cool thing, too, is that you can change up the flavor so many different ways by using different spices/seasonings on the kale. 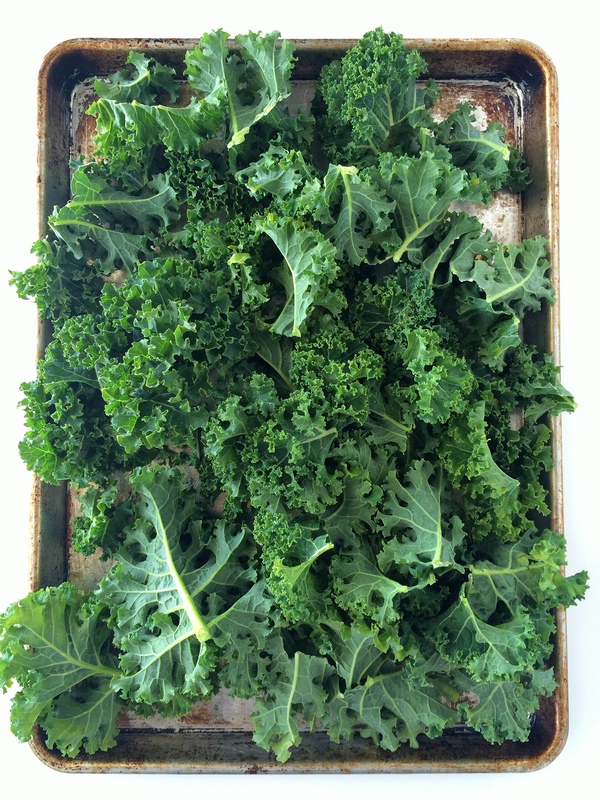 I’m thinking a masala-spiced kale with coconut oil would be dreamy!